Flowers have always been a big part of my life, both my nan and my mum have always loved them. They would spend hours in the garden tending to their flowers and as a child every year I would have a race with my nan, over who could grow the tallest sunflowers. Their love of flowers has definitely been passed down to me and I can see already it has to Alice too. She always spots flowers when we’re out and about. She loves to go on walks to the bluebell woods, snowdrops or anything else that is seasonal. We also attempt to grow sunflowers every year and I love that my little tradition has continued, a tribute to my nan. 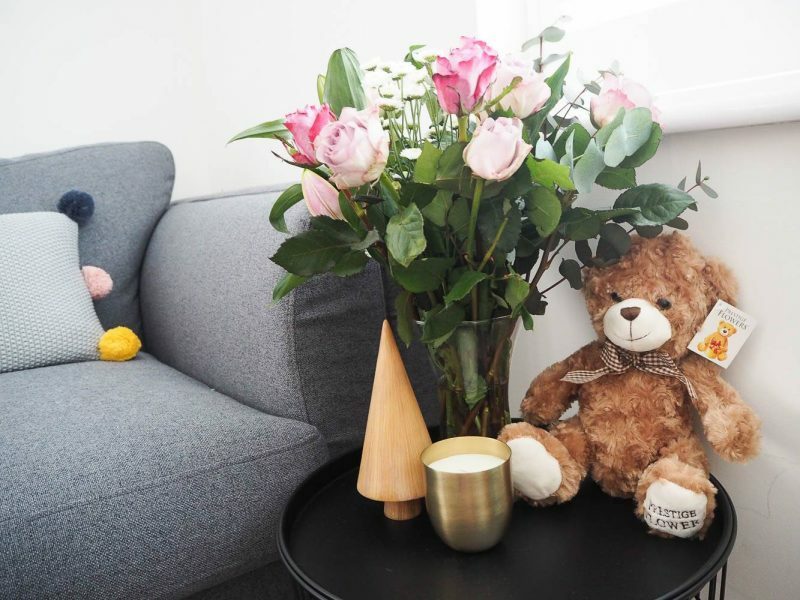 I love to have fresh flowers in the house, they brighten up a room. Adding some colour and life to a room.That instant smell you get when you walk in the room and your eye is immediately drawn to them. They can be a focal point of a room, part of a window display or add something to a corner of the room. Wherever you display them, they will brighten up the room. I was recently sent a gorgeous luxury bouquet from Prestige Flowers and I don’t think I’ve been that excited about a delivery in a long time. All bouquets are designed by their head florist who has over 25 years experience and they use only the freshest and premium quality stems. Meaning you can enjoy them for longer. 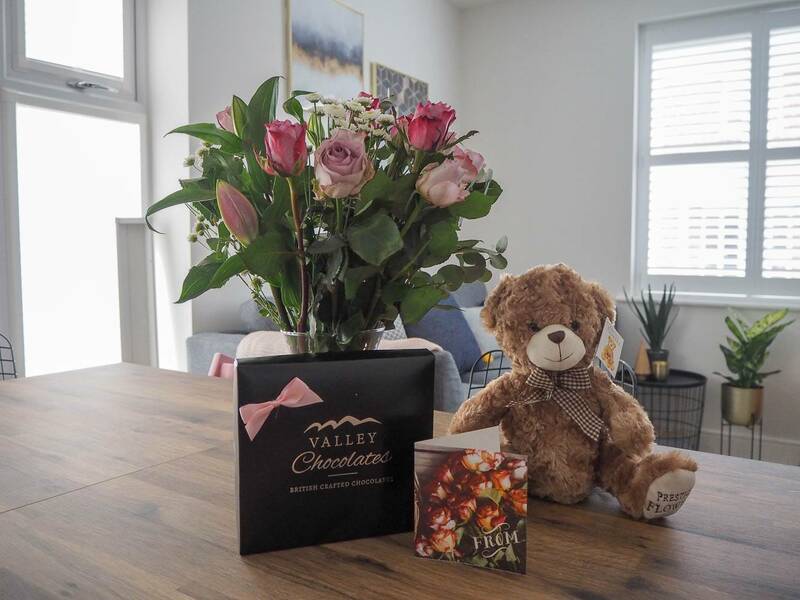 I was kindly sent the Rose and Lily Bouquet, which included a vase, a box of chocolate and a teddy bear. The flowers are beautiful and they came in a hand tied bouquet and presented in a bag. A whole box of chocolates all to myself! I love the colours of my bouquet and I’ve always had a love of roses. They remind of my wedding bouquet and I love that it comes with a vase too. A great touch. There were so many beautiful flowers that I could split them into 2 vases, meaning I have double the enjoyment. 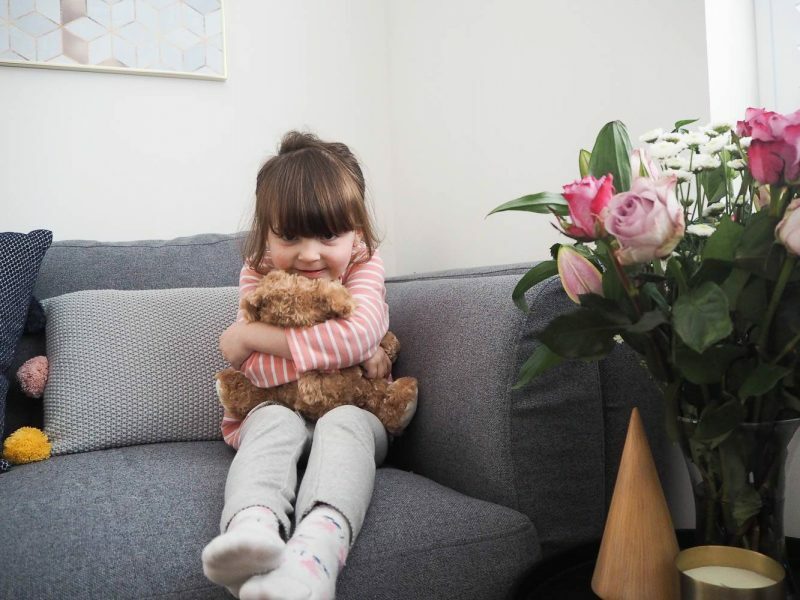 I think someone else fell in love with my teddy bear too, he is lovely and soft to cuddle. With Mother’s Day on Sunday, its not too late to make an order with Prestige Flowers. They have a great Mother’s day range. I believe that the most simplest, personal and lovely gift to give someone is flowers. Whatever the occasion, they will bring a smile to their face. 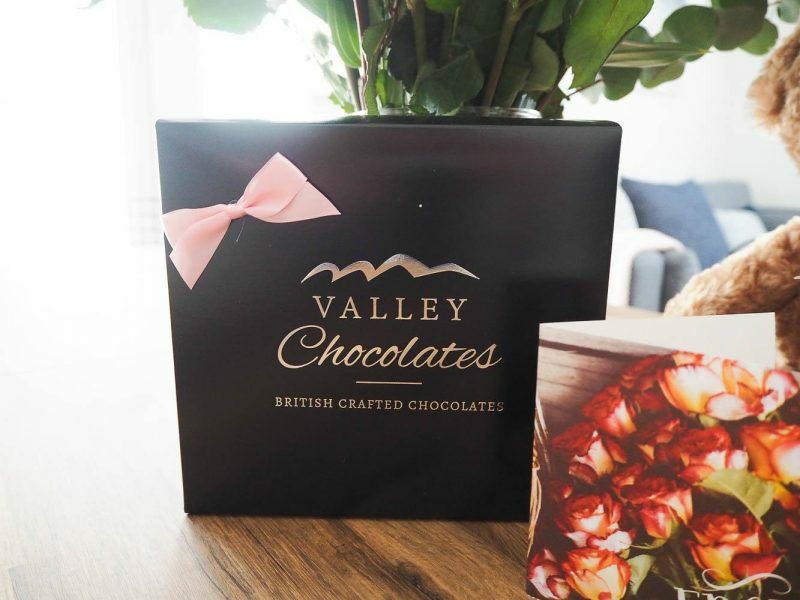 Disclosure: I was kindly sent my bouquet from Prestige Flowers in return for an honest review. All views, opinions and photos are my own. Previous Post: « The Person Behind Dear Bear And Beany…A Random Q&A! I LOVE fresh flowers at home. At the moment it’s daffodils and tulips as they’re so nice and spring like. I have some bright yellow tulips on the island in the kitchen and it really brightens the room! Oh, they’re beautiful. It’s always lovely to receive flowers isn’t it? The other gifts with them make it even more special. My girls have both asked for flowers for their birthdays. These are beautiful! Great idea that it comes with a vase. 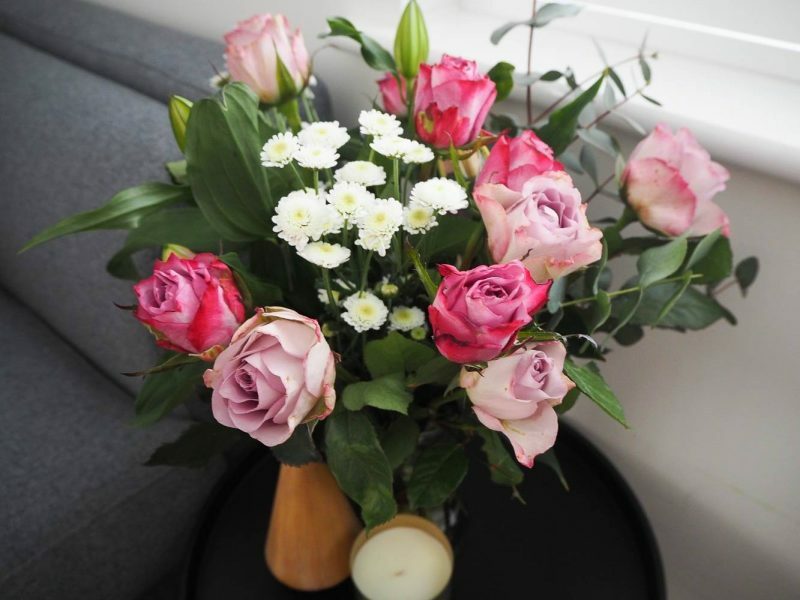 My daughter often begs me to buy flowers for myself to brighten up the house because they are so pretty….and what a pretty bunch of flowers these are! These are so gorgeous! 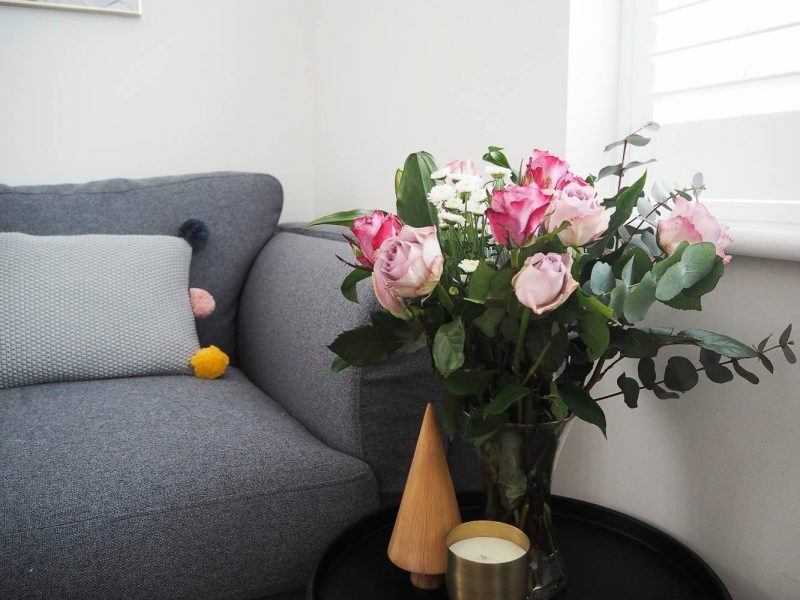 I love having fresh flowers, They really do add to a room. 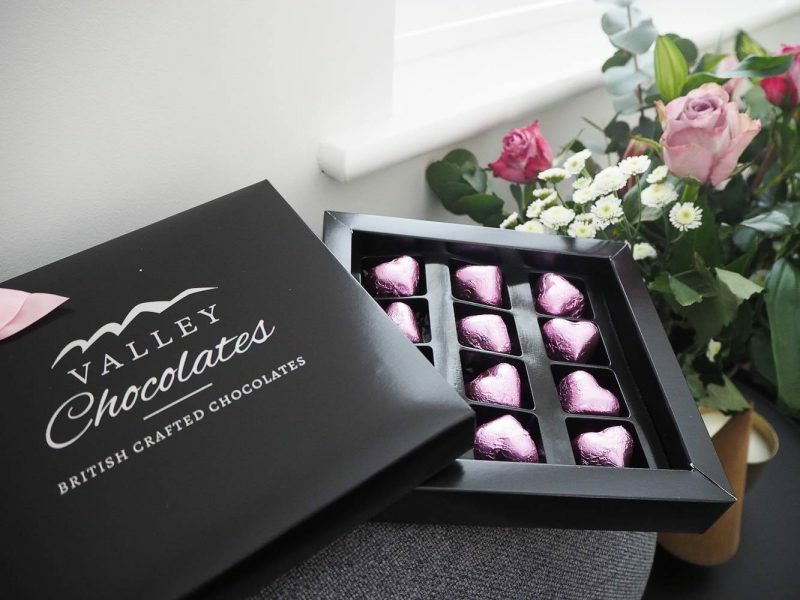 and you cannot go wrong with some choccies! I love fresh flowers, I am secretly hoping I get some for mothers day. These ones look so pretty you can’t beat chocolate either. Ohhh gorgeous!! 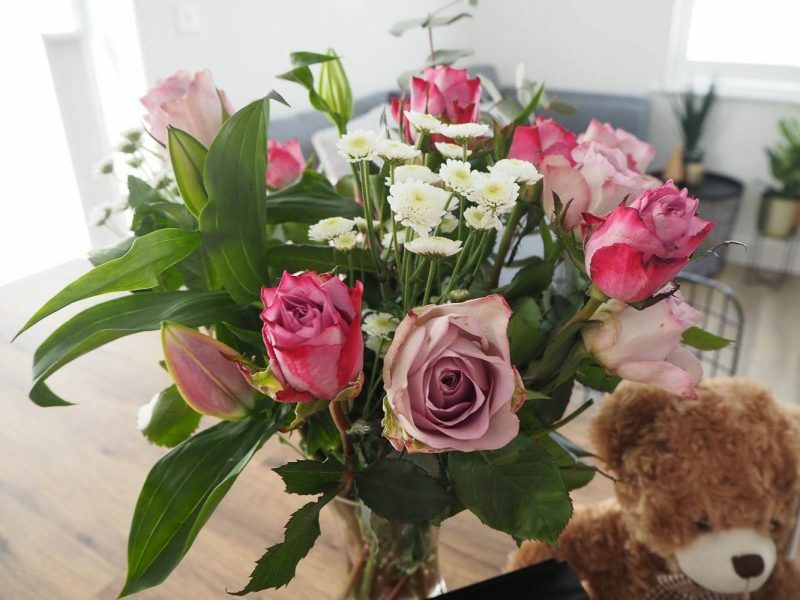 I LOVE flowers too, nothing makes me happier than having fresh flowers in the house but they are usually bought from the supermarket (by myself!) which isn’t quite as lovely! Those flowers are absolutely beautiful! 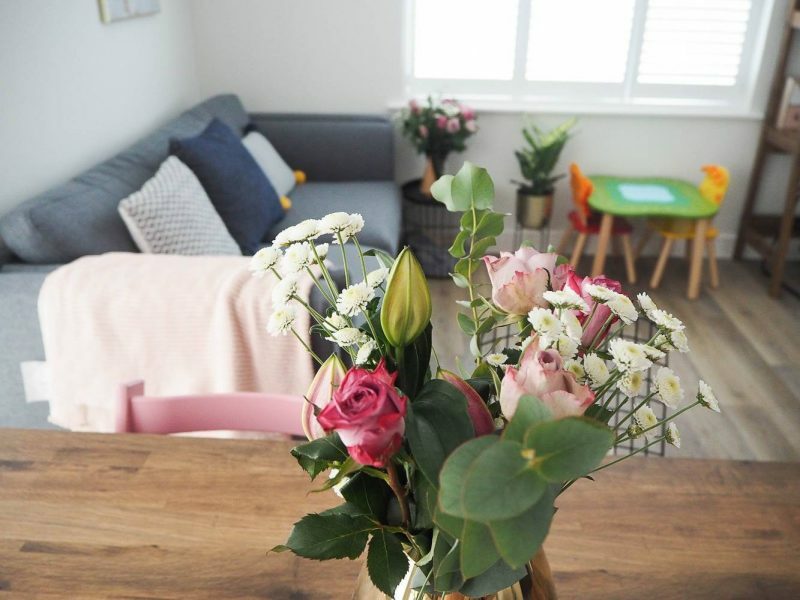 Having fresh colourful flowers in the house always seem to cheer me up and brighten any room! They also make the house smell great too! Prestige Flowers are gorgeous, I had some around Christmas time. And I always get my mother in law flowers for mother’s day. Most of us never get bought them otherwise. The flowers are so beautiful. The chocolates look tasty too.